A2 Stereo PA Amplifier 2 x 200W Fully featured stereo amplifier with mixer section for 2 microphones and a stereo audio source. A.. 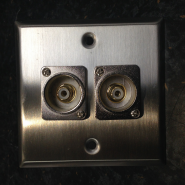 Stainless Steel Multimedia Wall Plate ..
Digital Stereo Amplifier with Bluetooth® This compact digital amplifier has three selectable stereo inputs, two microphone inputs..
BP SERIES - 100V WEATHERPROOF SPEAKERS A range of indoor/outdoor speakers, with ABS enclosures and a sturdy metal grille. 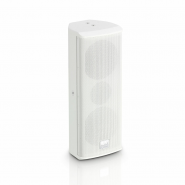 Suita..
Offering excellent value for money the MA 130 is ideal for installation into shops, offices and commercial premises. 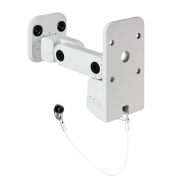 Featuring&nbs..
Wall & ceiling bracket for loudspeaker .. 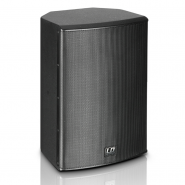 The LD Systems SAT242G2 is the big, strong brother of the SAT42G2 and is suitable for smaller installations and e..
Indoor background music loudspeakers featuring ABS enclosures and sturdy metal grilles. Suitable for free standing or wall mountin.. Optional 6 position remote source selection and level control WHITE VERSION .. Optional 6 position remote source selection and level control BLACK VERSION. .. 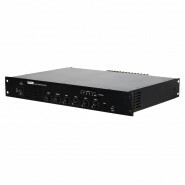 Optional 4 position remote source selection and level control for MA60 & MA60Media Mixer Amplifiers BLACK VERSION. Image Sh.. Optional 4 position remote source selection and level control for MA60 & MA60Media Mixer Amplifiers WHITE VERSION Image sho.. 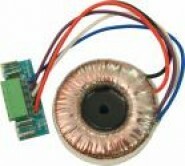 The CXL100T is a 100W 100/70 Volt toroidal transformer, compatible with Cloud VTX-4120, CXA6, and CXA4 (disc) amplifiers. Th.. 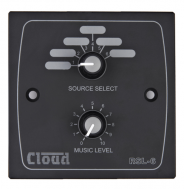 The MA60Media is an exciting new development from Cloud Electronics, combining for the first time the proven versatility of Cloud .. Optional 50/70/100v High Quality Toroidal Transformer. 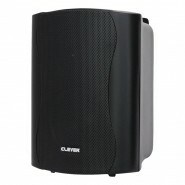 For internal use with MA60 & MA60Media Mixer Amplifiers. .. 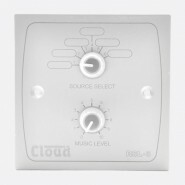 The MA60 is an exciting new development from Cloud Electronics, combining for the first time the proven versatility of Cloud mixer..